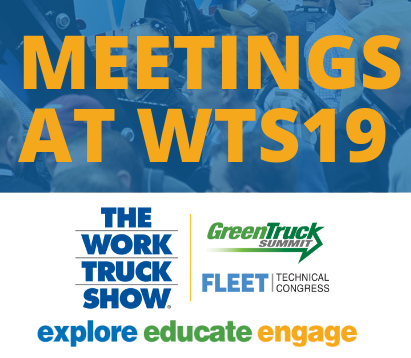 The combined Green Truck Summit and Fleet Technical Congress will provide insight into clean commercial vehicles and solutions to enhance fleet operations, plus much more. This year, both events will be held at a NEW LOCATION (JW Marriott Indianapolis). They will run on the same schedule with their own keynote speakers followed by general sessions. Attendees can easily switch back and forth between the two, based on preferred topic areas, throughout the day. Learn more and register. Already registered for the event? Please note expanded on-site registration areas and hours , as well as the availability of scan-and-go kiosks for badge printing (remember to bring your barcode found on your registration confirmation for quicker processing). 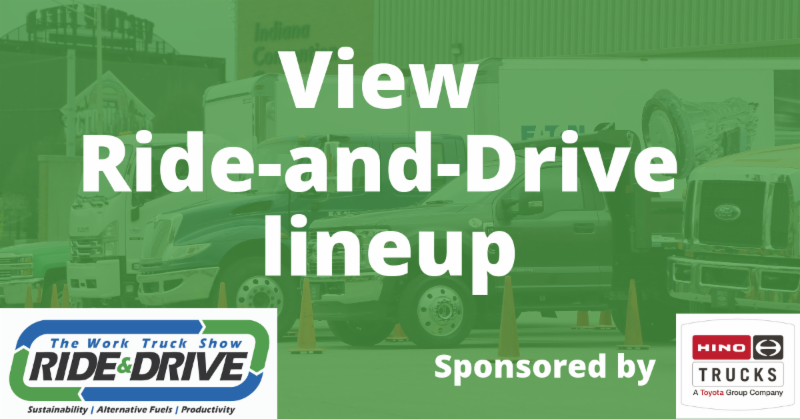 Experience the industry’s latest advanced technologies and alternative fuel applications at The Work Truck Show Ride-and-Drive , March 6–7 from 11 a.m.–3:30 p.m. at Indiana Convention Center. Participants must be registered for The Work Truck Show.